What is the Assassin's Creed Odyssey Game? Assassin's Creed Odyssey is an action role-playing video game developed by Ubisoft Quebec and published by Ubisoft. The game was released worldwide for Microsoft Windows, PlayStation 4, Xbox One, and (in Japan only) for Nintendo Switch on October 5, 2018. What Helix Credits Do in Assassin's Creed Odyssey? Assassin's Creed Odyssey Helix Credits can be used to purchase three outfits, which are Pharaoh Armor, Scarab Soldier, and Mummy. Also, you can buy a new skin for your camel or even a unicorn mount. There are also tons of packs for different gear, a map pack that reveals the locations of tombs, and “time savers” that essentially let you skip over the tasks of hunting, gathering materials, getting money, or leveling up if you don’t want to do those things yourself. How to Get Assassin's Creed Odyssey Helix Credits? Assassin's Creed Odyssey changes up a lot of the series’ core features, one of the best things is that would let you earn credits in-game, but mostly gives you them through real-money microtransactions. 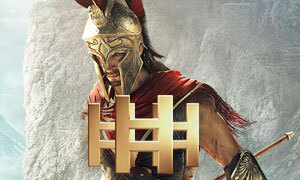 Unfortunately, on the official marketplace the game currency is so expensive, players cannot afford, but now here is the best place to Buy Cheap Assassin's Creed Odyssey Helix Credits - Joymmo.com. We promise all of Helix Credits are sold with 100% safe, fast delivery, and good after-sale services. Just keep in mind AC Odyssey Helix Credits Pack for sale on Joymmo.com online store.